Over at Railbird, Jessica has eloquently and elegantly described the scene following Proud Spell’s win in the Alabama; if you haven’t already read it, take a look. The crowd stood and applauded as Proud Spell and Music Note came back after the race, causing many of us on the apron to look up and enjoy the moment, to take pleasure in the acknowledgement that we had all just witnessed something magnificent. 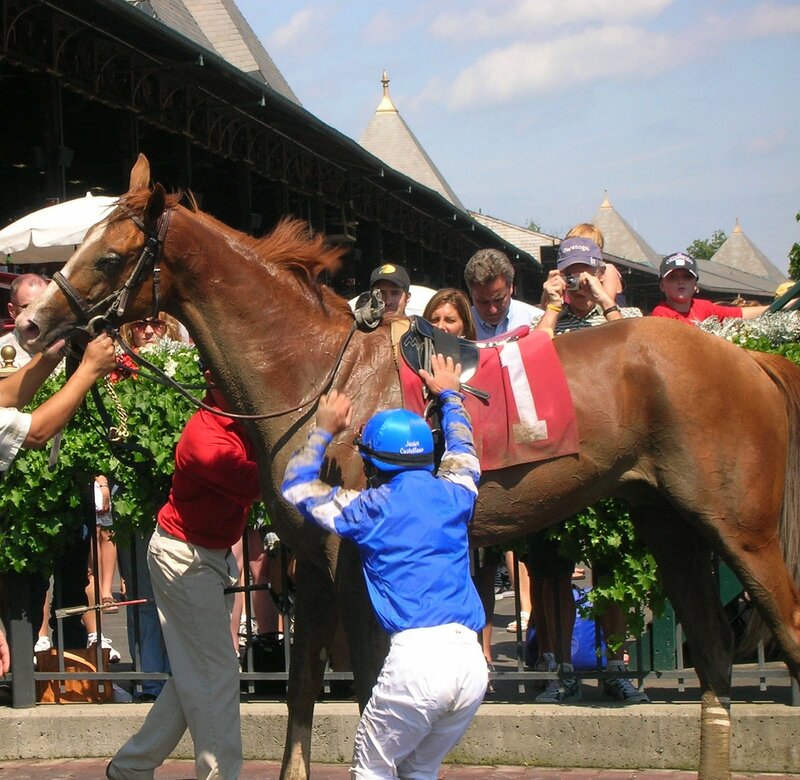 The Saratogian in me was gratified to hear Larry Jones say that the Alabama had been their summer goal all along; I channel Nick Zito when I say that much of the glory of the sport lies in these old races, and this renewal was certainly one for the ages. Jones said that the Cotillion at Philadelphia Park might be the next stop for Proud Spell, though there are no definite plans at the moment. He did say that he’s a little leery of the Pro-Ride surface at Santa Anita, and that running a race on an untested surface is no way to decide a championship. A race earlier, Grand Couturier proved that his victory in last year’s Sword Dancer was no fluke, coming from off the pace repeat his accomplishment, beating Better Talk Now by two lengths. This is Grand Couturier’s third appearance in the Sword Dancer, and trainer Robert Ribaudo indicated that the goal is to come back for #4 next year. 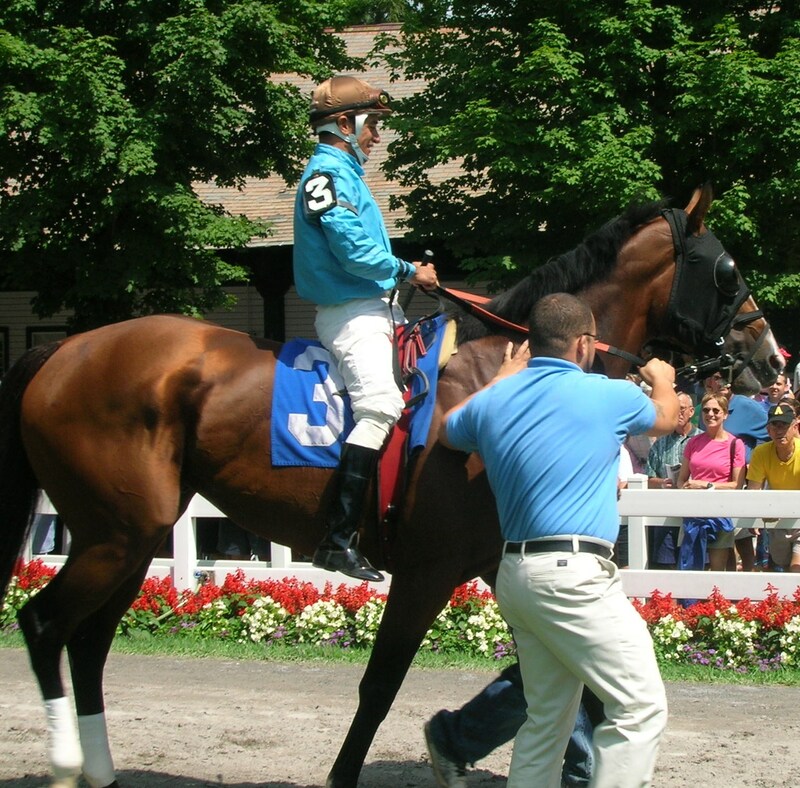 Grand Couturier’s owner, Marc Keller, is a member of the board of directors of Anna House, so those of us with connections to the Belmont Child Care Association were particularly gratified to see Grand Couturier cross the wire first. If you’re in Saratoga, are free Wednesday night, and would like to contribute to Anna House and have some fun at the same time, consider coming to the annual benefit at the City Center. Tickets are still available and cost $250 each; among the many great things about this benefit is that, given its Western round-up theme, jeans are perfectly acceptable attire. Contact Donna Chenkin at 516 527 4746 for more information or to purchase tickets. 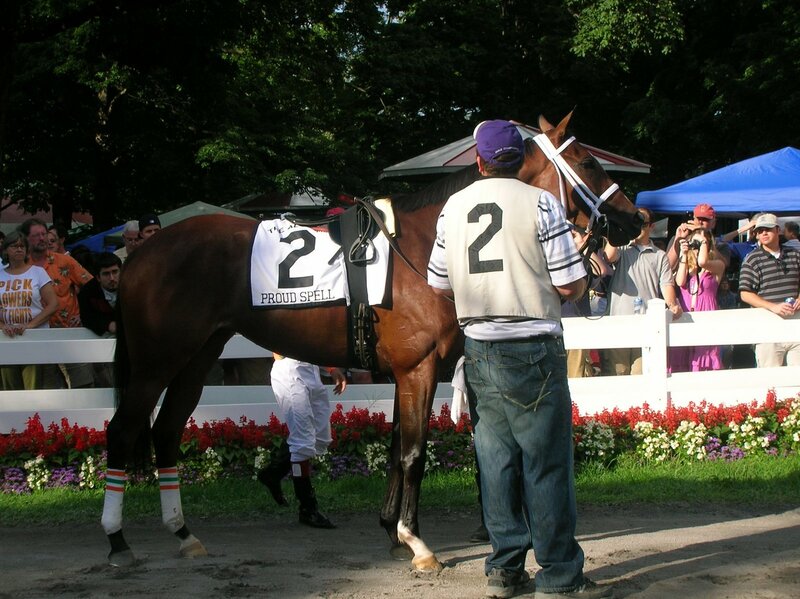 Brooklyn Backstretch favorite Numaany hit the Saratoga track for the second time this meet and ruined the Jerkens/Jerkens exacta in Sunday’s third race. Jimmy’s Mucho Macho was sent off as the favorite, while Allen’s Tizbig (and he is!) was the third choice. Godolphin’s Numaany took second money and blew by both horses in the stretch to win by two, topping a Godolphin/Jerkens/Jerkens triple. Much as I cheer for the Chief’s horses, I was happy to see Numaany get a win, having followed him since last fall, and an impressive win it was. 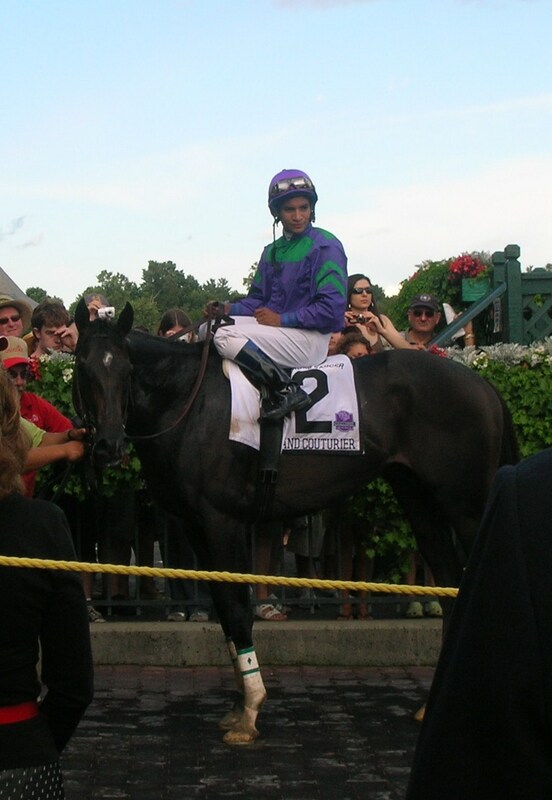 He saved ground on the rail through the first mile, and around the clubhouse turn Javier Castellano took him outside and settled him down, and despite some gusty running from Tizbig, Numaany ran him down strongly in the stretch, finishing full of run. Nice!